Before Nathan Berrong was helping direct the brand of one of Georgia’s most exciting breweries, he grew up in Conyers, studied communications and journalism at Liberty University, dabbled in music, and spent some time teaching English in Honduras. “It wasn’t a great experience,” Berrong says of the latter over an Amulet IPA in Three Taverns Craft Brewery’s taproom in Decatur. “I barely knew Spanish and didn’t know anyone there. I felt like I was going insane.”When he returned Stateside, he handed off his resumé to Turner Broadcasting’s temp agency, ended up temping as a tour guide at CNN for a week, then got hired on full time. He’d spend 10 years with the organization, producing live shots in the field and eventually writing about beer for CNN’s food blog, Eatocracy.Along the way, he befriended Brick Store Pub co-founder Dave Blanchard, who would introduce him to a homebrewer named Brian Purcell. That homebrewer went on to open Three Taverns in Decatur and hire Berrong in 2013. Berrong quit after little more than a year with the company, but eventually found his way back. 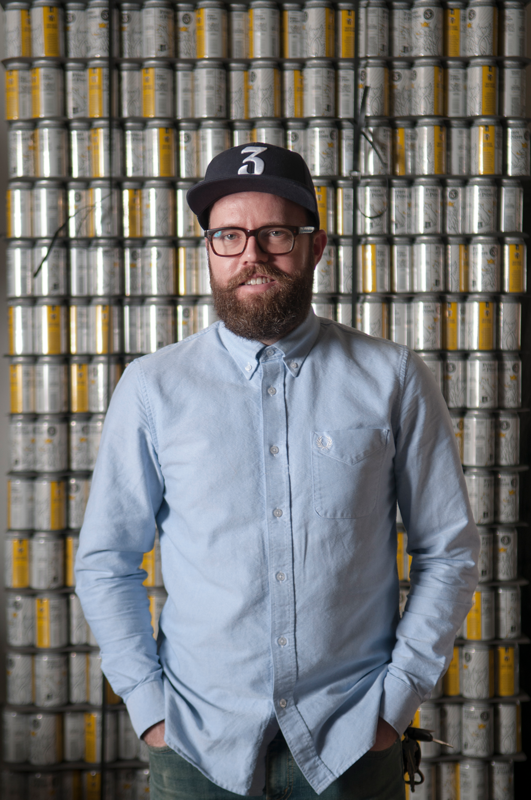 Creative Loafing sat down with the 36-year-old “brand cultivator” to talk drinking games, loving what you do, and putting sour beers in cans.Describe your first beer.I think it was a Miller Lite. In seventh or eighth grade, I was at a party with my sister, who was older, and her friends. She didn’t give it to me, but she knew what was going on. That was one of the first times. And then me and my friend John used to get into trouble with all kinds of substances in his basement. His parents had vermouth, and we had no idea what it was. He had found a drinking game and we poured equal parts Coke and vermouth into these big, 64-ounce QuikTrip cups. It was terrible. But we were both drinking it like, “This is really good!”What was your beer turning point before you started writing about it for CNN?Not long after I met my future wife, she bought me a subscription to BeerAdvocate. Going down that road of being nerdy, I started trading for beer online and doing that stuff. That’s when I realized I wanted it to be more than a hobby. Me and one of my friends started a blog, which is still online. It’s terrible. I’m not gonna tell you the name of it because you can still see it.It’s interesting that you worked for Three Taverns, left, and then came back. There were only four of us when we started. Four people starting a brewery of this size was a huge undertaking. I was bottling some days, taping up boxes, running around town doing sales, working in the tasting room at night, doing anything that needed to be done. I just got burnt out. So I applied for a job on a whim and got it. I was still in contact with the brewery, though. Brian would call me and ask me what I thought of things. When they lost a salesperson, I texted Joran Van Ginderarcter, Three Taverns’ head brewer mostly as a joke, saying that I almost applied for the job because I missed the brewery. He told me I should apply, but I told him I didn’t want to do sales. But then he asked me, “So, you’d be willing to come back?” And after that, Brian reached out, pitching a job to me.What changed in the time you were gone?From day one, I wanted us to do sours. But at the time, Brian wasn’t really into them himself. And right away, I wanted to do cans. This was in 2013. But again, Brian has more of an old-school approach where he thought Belgian beers should be in bottles. So sours and cans were things I wanted to do. They started doing sours a little after I left, and then, when Brian called me, he said, “Hey, we just ordered a canning line. You were right about sours, and I was wrong. You were right about cans, and I was wrong. I’m tired of being wrong about stuff. Would you wanna think about coming back to the brewery?”Atlanta Winter BeerfestWhen: Sat., Feb. 4, 1-6 p.m.Where: Atlantic StationPrice: $40-$55Atlanta Winter Beerfest's sixth annual event is taking over Atlantic Station with over 150 beers, wine, and cider. The ticket price includes entry, a souvenir cup, entertainment, and all the drinks you can drink. Each week on Wednesday, Red Brick brewers serve up a taproom-only selection.